It’s not much to look at, but if you like rocks and are looking for warm winter weather, friendly people and astonishingly cheap RV camping, Quartzsite, Arizona is the place to be. We spent 24 hours there earlier this week as we prepared to re-enter urban America after a quiet week along the Colorado River. We hadn’t planned to overnight here. But it was a beautiful sunny day as we drove into town and the huge flea market with the “Home of the Largest Swap Meet in the U.S.” sign out front beckoned. So we pulled off to the side of a neighborhood street and enjoyed a hot panini picnic lunch in the Casita before G did some swap-meet scouting and I did some journaling. Before we knew it, we’d puttered the afternoon away. It’s more than 130 miles across the desert to Phoenix from here and we were enjoying the laid-back vibe of the community so we decided to settle in and stay the night. We’re glad we did. It gave us a chance to learn a bit more about the town, its history and its people. Quartzsite got its name, as you might have guessed, from the quartz found in the area. In the Gold Rush days, pan handlers flocked to the area in search of precious metals. But Quartzsite’s early significance transcended rocks. According to the local Historical Society, the town’s location between Prescott, Arizona and Riverside, California – and the fact that it boasted a hand-dug well by 1864 – made it a busy stage coach station on the Butterfield Overland Mail Route. As we drove down the main drag, we passed Hi Jolly’s Outpost, the Hi Jolly RV Park and a sign directing us to the Hi Jolly Tomb. What’s with “Hi Jolly” we wondered? The sites, it turns out, are named for Hadji Ali, one of the men hired by the U.S. Army in the middle of the 19th century to introduce camels as beasts of burden to transport cargo across the “Great American Desert” from Texas into California. Ali, an Ottoman subject of Syrian and Greek parentage, became known locally as “Hi Jolly.” He served as lead camel driver. But the U.S. Camel Corps experiment was ill-timed. Congress refused to fund the corps amid the escalating costs of the Civil War and the importation of the animals ceased. The fact that Jefferson Davis, president of the Confederacy, supported the camel corps is probably another reason the camel experiment failed. The U.S. Army was all about horses and mules; its soldiers didn’t know how to control camels. Hi Jolly lived in Quartzsite for years after the camel business went under, working in the local mines and serving as a scout for the U.S. government. He died in 1902, bringing to a close one of the most unusual chapters in the development of the American Southwest. He was buried in the Quartzsite Cemetery, which was renamed a year later the “Hi Jolly Cemetery” in honor of Hadji Ali. Quartzite’s claim to fame these days is its two-month-long gem show and swap meet each January and February. Tens of thousands of visitors and exhibitors descend on the quiet town of barely 3,000 year-round residents in pursuit of rocks, gems, mineral specimens and fossils. The Quartzsite gem show is famous among professional and amateur lapidaries and jewelry artists. Thousands of vendors come from all over to sell stuff, including some 500 serious dealers in rocks, minerals, gems, fossils and jewelry. Actually, there are nearly a dozen “shows” going on simultaneously, but there are four that are specific to rocks and minerals. They are the Desert Gardens Show, QIA Pow Wow, Prospector’s Panorama and Tyson Wells Show. There’s no admission fee and parking is free, but it can be tough to find a parking spot on the show’s busiest days. We’ll have to return some day for this experience…. Driving into town you see scores of RVs and campers scattered across the desert on both sides of the main highway. They look completely random, squatters in the sunlight across the open range. In reality, most of this land is owned by the Bureau of Land Management. In Arizona, you can camp on most BLM land for almost nothing. The photo leading this post is of the La Posa BLM campground on the edge Quartzsite on State Route 95 just south of Interstate 10. There was no one at the entry kiosk when we pulled in late this particular afternoon (it was Veteran’s Day) so we drove through the grounds a bit, picked an area off by itself near a dry gulley to settle into (there are no designated spots, you just find a tree or bush or open area you like and park) and figured we’d register/pay in the morning as we depart. The setting was lovely, in a barren desert sort of way. We watched an orange sun set behind purple mountains; instantly, the temperature dropped. We decided to get to know the area a little better so we donned jackets and walked across the desert to the main intersection less than a half-mile away where we’d seen a sign for Ma’ias Comida Mexicana. It turned out to be just a trailer on the corner amid other trailers selling everything from hardware to hand-dipped corn dogs and $1 burgers. This trailer already had customers in line and seated in comfy-looking armchairs around a fire ring. We figured that was good sign, so we got in line to order. The woman behind the counter was friendly and efficient with a quick smile and warm eyes. She maneuvered the trailer’s long, narrow kitchen from a wheelchair as smoothly as a teenager on rollerblades. She took our order and we sat down to wait. Juan, the aging proprietor, chit-chatted with customers out front while keeping his eye on his granddaughter. The little girl’s mother ran the kitchen inside. When the little girl didn’t get the cotton candy she wanted from one, she went to the other. Mama seemed to run the family as efficiently as she did the kitchen. Ten minutes later, I was savoring my chile verde chimichanga as G raved about his pork burrito. They were both packed with tender chunks of well-seasoned meat, not so much as a sliver of gristle. The homemade pico de gallo was fresh and crisp; we had no need for extra spices. G noticed that the trailer had no fryer – a good sign in his eyes, signifying that the food is sautéed rather than deep fried. Both dishes were giant, nearly a foot long and fist-thick. We brought half of each home with us for lunch the next day. Total bill: $14. The tent next door advertised LED lights for RVs and boats so G sauntered over to see if he could find LED lights for our exterior shower light. He’d been looking for a specific size at various Walmarts across the last half-dozen states. Yes, storekeeper Tom had just the right size for $5. But G had only three one-dollar bills and a twenty on him; Tom didn’t have change. 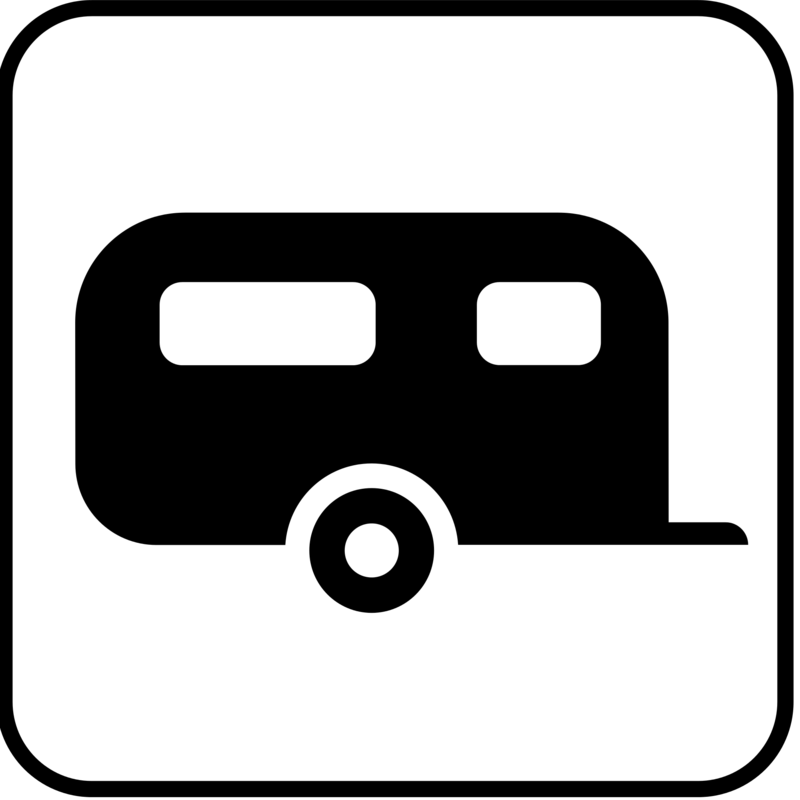 Are you in an RV? Yes, G said, we have a small trailer. You can give me your three ones and come back whenever with the rest. You’re going to trust a perfect stranger? RV people are most honest in the world, the storekeeper said. Everybody is poor here, except the big rigs in fancy parks. RV people are the best. G handed over his three one-dollar bills. The two chatted a bit longer. Tom told G about a family that came in earlier wanting a set of mounted LED lights to dress up their RV, but what they wanted cost $160. The family offered to pay $16 every two weeks until the debt was paid and they could take the lights. Take the lights now, Tom recalled that he told them. Pay me when you can. So they did. And sure enough, 20 weeks later the lights were totally paid for – and the family had been enjoying them all along. Nice to meet you, he said. What are your plans here? We just stopped for the night, G explained. There was no one in the kiosk yesterday and we don’t know the procedure so we figured we’d take care of business today. No problem, the camp host said. This is actually a long-term visitors campground. It’s $180 for six months or $14 for two weeks. This area includes water access, trash removal and a black-water dumping station. Wow, said G. Amazing. And for one night? Nothing, the camp host said. Enjoy your travels. We stayed a bit longer – reading, noodling, bird-watching, catching up to email on the three-bar T-Mobile service. Soon it was time to leave. On the way out of town we stopped again at Tom’s shop-tent. We met Tom’s wife, Sandy, and learned that they winter here for five months every year from northern Nevada. It was great to meet you, G said as we climbed back into our car. Thank you for affirming our faith in mankind. It’s good to know there are good people in Quartzsite. Quartzsite is a very interesting RV specimen. Everyone should visit at least one time. Sounds like you had a fun visit, another enjoyable read. Thanks, neighbor. So agree! Looking forward to tomorrow…. Keven and Georges: I am one of your most devoted readers but am so technologically maladroit that I am not sure I know how to send you a message. I sure enjoy your journal and have some questions about the Casita when you get back to Dallas. Let me know if this reaches you. Quartzite was a treat, thanks for sharing. Love the story of people trusting people. There’s still much good in this world. Yes there is, and we need to be sure to recognize it! Thanks for the comment. You might be interested in the book “Nomadland” by Jessica Bruder. Quartzite is described at some length.